– Quickly insert text like your address or commonly repeated phrases. – Set up custom e-mail signatures to insert on demand. 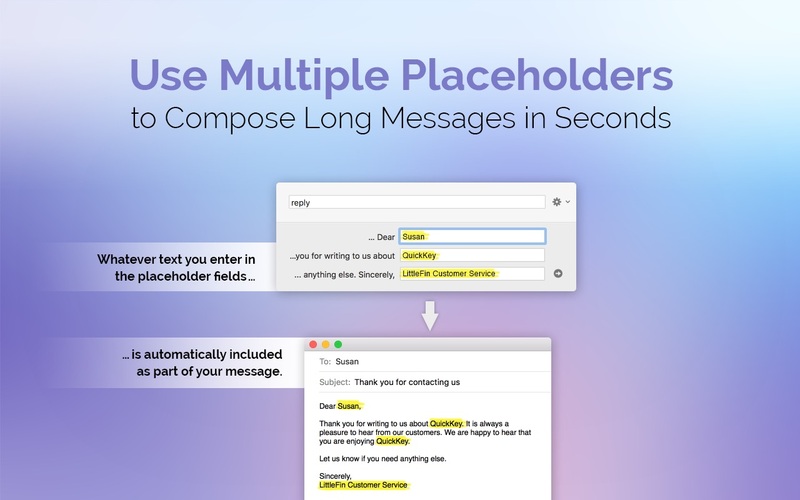 – Quickly respond to e-mails with boilerplate replies. – Insert snippets of code you use frequently.